With this week’s suggestion, I didn’t have the full pleasure of “judging a book based on its cover”—because I am trying to go through the hundreds of books that I already have—I’ve read all the synopses on their covers before. But I did make myself pick through a selection of books based on a few guidelines: the book couldn’t be a movie or TV show, it couldn’t be a classic that everyone knows the gist of the story line, and it couldn’t be one that I’ve been itching to get my hands on. I made myself look through the ones that I haven’t looked at for a while, the ones that were bought on a whim, written by someone I’ve never heard of before, or given to me from someone who reads genres that I’m not that into. This week I was going to make sure it was something different for me… Or so I thought. Looking solely at the covers of the books I had collected—a couple fantasy, several YA and children’s chapter books (I don’t know why I gravitate to these so much! ), a mystery, and a memoir—I kept coming back to the same one over and over. A black and white photograph of a lone figure with the title written in red. The lighting in the photograph had the lone figure highlighted in all the right places—the contours of his face and muscular arm—this alone will have you thinking to yourself that this must be some kind of romance novel, a spinoff of a harlequin perhaps and this will catch the females of the audience and make them want to pick it up. But romance novels are not my thing, so that is not what caught my attention. It was the dark angelic wing protruding from his back, and with a title of The Fallen, I couldn’t help myself but to pick it. I wrote this review a little different than usual. I’m not sure why, other than this is how it came out, and I apologize that it 1) reads a bit like a school book report, and 2) does give away some of the ending. Aaron Corbet is a child of the foster care system and has finally found a foster family who he regards as his mom, dad and his brother, Stevie. On his eighteenth birthday he can suddenly understand and speak languages of all kinds even though he’s had no education in them. On top of that, he comes across a “homeless” man who begins following Aaron, telling him about his troubled past and the future that is to come: Aaron is Nephilim—the son of a mortal and an angel—and he has been chosen to redeem the Fallen. The angel Verchiel is the master of the Powers and a Messenger of God. His duty is to cleanse the earth of the filth that the Fallen have produced upon the earth: Nephilim. Using his human hounds and divine senses he tracks down Nephilim and purges them from the earth. The Nephilim he’s currently hunting is Aaron Corbet. With the help of Zeke, the Grigori, Camael of the Fallen, and his best friend Gabriel, Aaron transforms into the Nephilim he is, and not a minute too late: Verchiel has finally found him and is ready to purge his filth from the earth. A battle ensues and Aaron turns out to be more powerful than Verchiel originally thought. Aaron injures Verchiel, who flees, taking Stevie with him. Now Aaron must not only fulfil the prophecy, but find his brother before Verchiel turns him into one of his human hounds. Aaron and his posse begin a road trip in search of Stevie, with a powerful pull toward Blythe, Maine. Along the way they encounter a group of Orishas, another product the Fallen have created. However, the Orishas are ruled by Verchiel, who has bestowed the mission of killing Aaron upon them, but they don’t succeed. Only one Orishas remains, and before fleeing it gets a small revenge and bites Gabriel. Arriving in Blythe, they find Gabriel a doctor to treat the infected Orishas bite, but the townsfolk here are a little strange: they look suspicious of everyone and act as if they’re being controlled. That is everyone but Dr. Katie McGovern, who later tells Aaron that she, too, is an outsider, new to town. 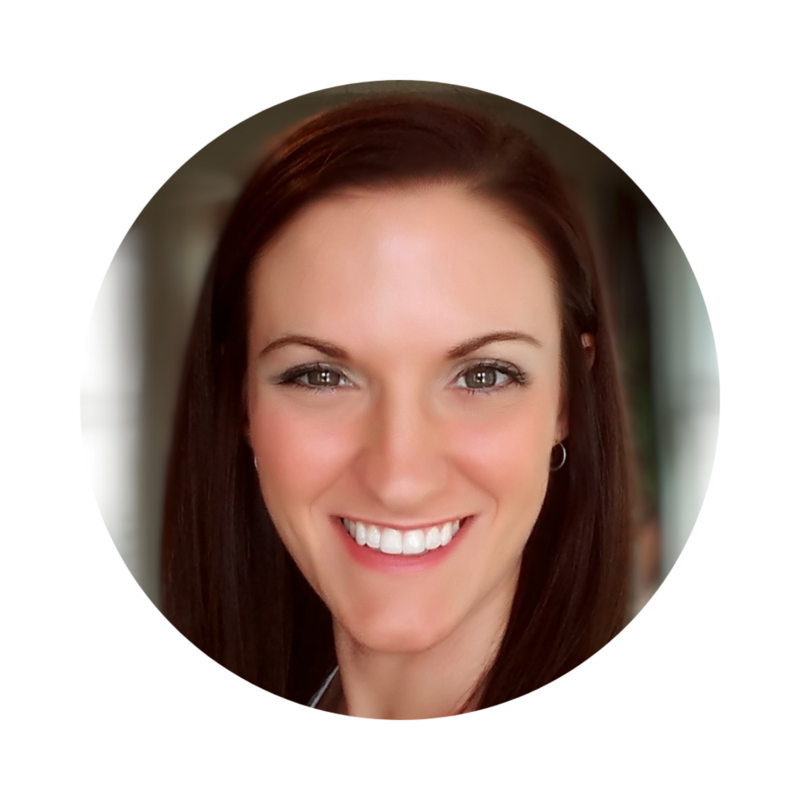 She came to town because her ex-boyfriend, Dr. Kevin Wessell, had e-mailed her with a strange request that she visit, but when she got to town he was missing and hadn’t been in to see his patients for days. Leviathan, a great sea monster, entraps its victims by making their mind’s eye see whatever paradise it wishes to see, then swallows them whole and lives off the life force stored inside them. Aaron finds that both Camael and Gabriel are in Leviathan’s stomachs, and knows that in order to save them he must overcome his fear of letting the Nephilim power within him out and do the one thing the Archangel Gabriel could not: destroy Leviathan. Aaron defeats Leviathan and frees all those within Leviathan’s stomachs including his friends and the Archangel Gabriel. Aaron then fulfills the prophecy and forgives the Fallen who are found within Leviathan’s many stomachs and sends them to their Heavenly home. But before The Archangel Gabriel ascends he gives Aaron another hint about the prophecy he is fulfilling and a wink of information about who his real father is. The Fallen concludes with the townspeople of Blythe, Maine being released from their captor’s control, Katie and Kevin reunited, and Aaron with a lot of questions: Who is his real father? What does his father have to do with the prophecy? And where is Stevie? 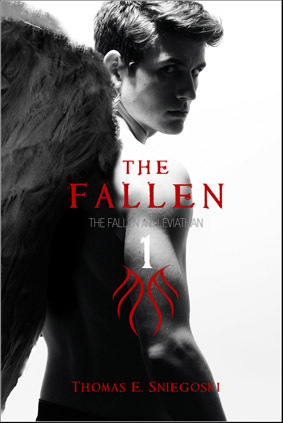 Of course, I liked The Fallen, it’s right up my alley (so much for breaking out of my habits and trying something new!) First, it’s a YA read, so you know I’m hooked there. Second, it’s a present-day mythology just like the Percy Jackson series by Rick Riordan or The Mortal Instruments and Shadowhunter series by Cassandra Clare, both of which I’m a big fan of. To take a myth—and I use this word to group together the whole, so please you Christians out there don’t hate on me for using this word, I’m a Christian, too! —but to take a myth such as angels or Greek gods and to create a new story for them is awesome! You’re taking those classics that a lot of people don’t read any more because they find them boring or too difficult to understand and are making them readily available to today’s societies so that Genesis, Matthew, Luke, Homer and Sophocles are getting a new—and usually younger—generation to ignite and share their stories again. Third, something that I found that set The Fallen apart from most YA books was the language. I, myself, don’t have the best vocabulary by any means (I should have listened to my mother and studied for those vocabulary tests! ), but I have grown my knowledge and understanding over the years, and this book still had me looking up words in the dictionary (or rather dictionary.com, yay technology!) I like that about a book! I like that while I’m reading for pleasure I’m still learning things. I don’t think that everything should be dumbed down so everyone in the general population can understand it. I think you should always be learning something and improving on yourself, and if that means you must get a dictionary out to understand what’s happening in the storyline then that’s great! You learned something in the process; you made yourself better and had a better experience because of it! Aaron Corbet is a little fake. He’s too good and not moody enough to be a teenage boy and a child of the foster system who has just found out that he’s this mythological creature. In the beginning, you’re told that he has a troubled past, that he was moved from foster home to foster home, but the person sitting in front of you is polite, never causes a stir, and when he does have an emotional outbreak of some kind its abbreviated and almost void of emotion. Almost like his outburst were an afterthought, like Thomas Sniegoski’s editor said, “Hey, don’t you think he would be a little upset that this is happening?” The lack of emotion he shows when someone he loves is hurt or killed is the biggest one for me. He doesn’t cry, he doesn’t get angry and yell, he just tells himself that he can’t believe that they are hurt or dead. I understand shellshock, but I think this is a bit more than just that. Aaron is not fleshed out enough to be a real person, but then again, I guess he really isn’t, after all he is Nephilim. My other qualm with The Fallen is defeat is too easy. With each battle scene—if you can really call them that—the fight was ended really before it began. These are some big monsters he’s going up against, and yet I saw how the end of each battle was going to play out from the moment they started. There was no adrenaline rush of “is he going to make it?” in any of the battle scenes. From the beginning, you knew he was going to be just fine and good would prevail over evil once again. Overall, I enjoyed The Fallen. I thought it was a great storyline with a good mystery: I want to know who Aaron’s father is myself! Who is this—as Camael puts it— “angel of formidable power to have sired one like [Aaron]?" ? And does he ever find Stevie? All the questions Aaron has at the end of the book are questions I have too, which is a sign of a good story. The author has you hooked to make you want to pick up that next book. Which I plan on doing just that! Love this book? 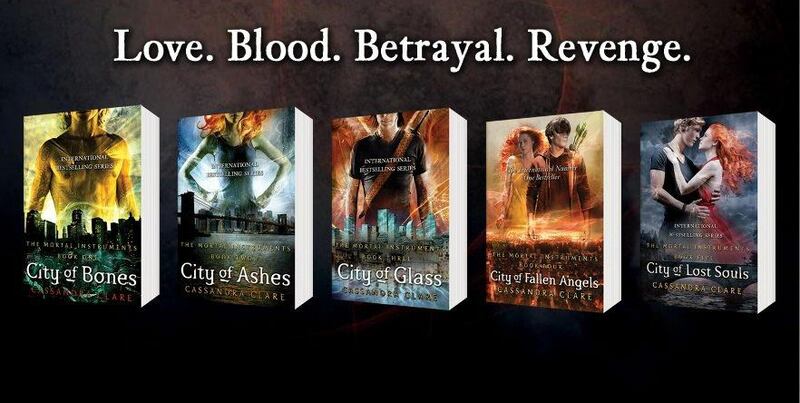 Check out The Mortal Instruments series by Cassandra Clare or one of her many other Shadowhunter series. Pair it with: Lost Angel’s 2016 Mischief—Fruit-forward and jammy, with hints of cocoa. Not all good wines are expensive, and this one is just that: good, easy on the wallet and fits with the trouble that Aaron gets himself into. Start a conversation: What book have you chosen based solely on its cover and why? Was it worth the gamble?